Artists contribute a lot to what we all love about this music, so we decided to get into the mind of one of our underground artists Matt Putrid with an interview over the phone. We all know and have noticed how drastic the music world has changed, but a new means to funding recording and the release of an album has been introduced by three notable metal bands and probably soon to be more! What could this be you ask or why would they need a new means?! For the case of a lot of bands perhaps they just need to realize "stop covering that band/song! ", but most don't and so we must address the fact that there are too many cover versions of the same bands and songs. Through the eyes of the average Joe, metal is a dark and scary place which has provoked many murders and violence alike; we certainly haven't reserved our thoughts on this common misconception! 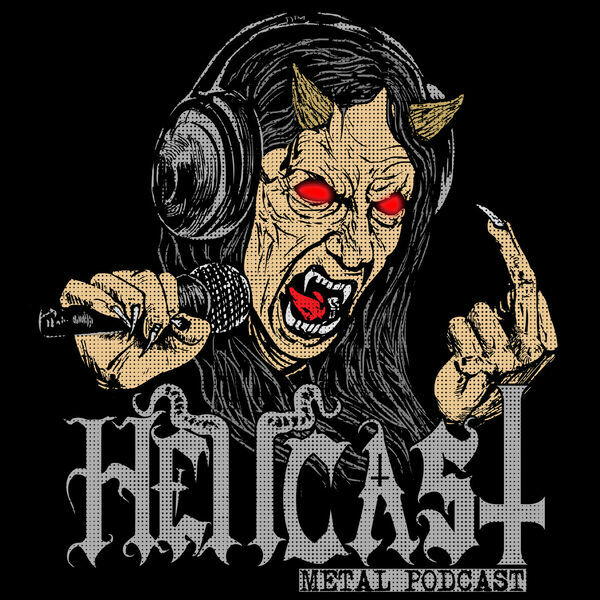 So tune in and lend your eyes to our banter for this week's HELLCAST. FRONT BEAST "Demon Ways Of Sorcery" | SLEEPY HOLLOW "Hazardous" | WALLACHIA "Harbinger Of Vacuumanity" | CONCEIVED BY HATE "Vengeance Is The Law" | LACERATION MANTRA "The Innermost" | RUNEMAGICK "Dark Deeds Of Temptation" | NUCLEAR TEST "Abyss" | PERVERSION "Devotion To Death" | DESTRUKTOR "Meccademon" | KRANK "Til Hell Freezes Over"
All content © 2019 HELLCAST | Metal Podcast.